Has it ever dawned on you that mirroring your laptop/desktop to a projector or monitor could be possible without the worry of cords getting in the way? The answer yes, it is possible. You’ll never have to deal with pesky cords and having to constantly transfer an HDMI cable from one device to another with the help of Airtame. 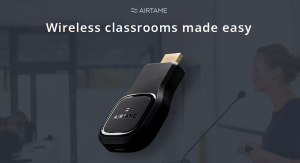 Airtame has come up with a solution for students to connect without any cables, simply by broadcasting a signal through a desktop application. 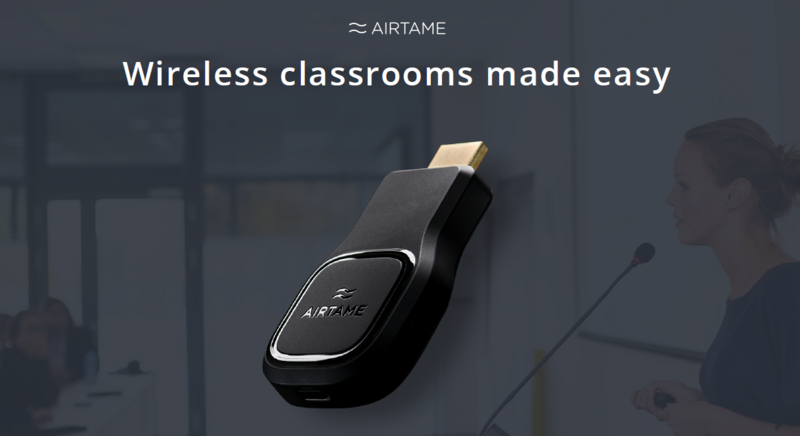 Airtame has revolutionized technology by allowing students to connect with others, which has never been done before. Simply through an HDMI wire-free cable, teachers and students can mirror presentations, notes, lessons, and more. The benefit of being able to share one screen to another is easier when opening a discussion between teachers and students who find value in engagement. The sense of urgency to hide behind a screen that can been seen by one set of eyes or multiple eyes hovering over is gone, with the use of Airtame. Have you ever run into the problem where switching devices to a wired HDMI becomes a huge ordeal and you end up having someone share it to a “main” device? Airtame clears up the fuss behind this problem. Connecting with a “Pin Code” enables users to enter a 4-digit passcode before starting a stream from their device. Once the code is entered through a given device the room watching the screen will see you connect. Where does the “pin code” come from? Are there customization features when operating Airtame from a device? A click to stream application has been created to communicate with the HMDI outlet plugged into a projector, monitor or any kind of display being used. Through the digital signage function, administrators have the option to customize displays, such as changing the home screen layout, projecting an assortment of stock images associated with the given school or district and freedom of making it their own. Examples of this would be creating an up-to-date running display within the lunch room, sports schedule in the gymnasium, and bulletin board in the main office. The customizable options are endless. Can an IT department manage multiple devices? Yes! Through an Airtame Cloud account you’re given an overview of all devices that have (offline) or are currently connected (online). This is useful when managing student’s ability to mirror their laptops or smart phones, and not having to go into a classroom across the hall where a student or teacher may be interrupting the connection. Cutting an IT administrators manual labor in half helps manage and monitor devices without even leaving their office. 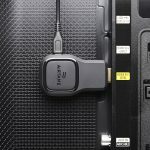 Airtame presents a user-friendly option to connect content wirelessly from their laptop or mobile device with getting caught in a mess of cords. Classrooms can become more interactive, engaging, and versatile within a BYOD (bring your own dongle) environment.